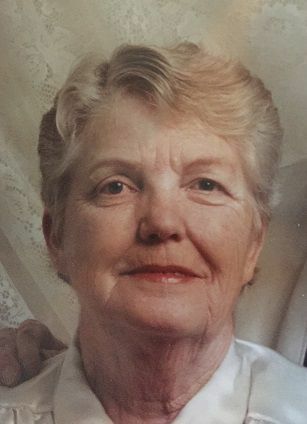 Lena Thelma Johannessen Fenn was born on October 11, 1932 in Marsing, Idaho. She was the eighth child of 17 children born to Marius Kannegaard Johannessen and Nelma Anna Bay Johannessen. On December 11, 1948, she married Edward Raymond Fenn, Sr. in Jefferson County, Oregon. Starting in 1950, the two had three children: Mary Ellen, Edward Raymond Jr., and Debra Kay. The family traveled for a short time, following Edward’s line of work, from Central Oregon to Washington and back again. In the mid-50’s they settled into a home in Albany, where they raised their children to adulthood. After the children were raised, in 1980, the couple moved to Millersburg. Lena traveled regularly with her husband, who was a lineman. The two journeyed all over the western United States from Washington, to California, to Nevada and Utah. Additionally, the two owned several rental properties in Oregon that they both managed. She and Edward were married for 48 years, until his death in 2006. The two enjoyed a very happy, prosperous life together, surrounded by family and friends. Lena passed away, peacefully, in her home on March 10, 2019. She is survived by her three children, nine grandchildren, and 21 great-grandchildren. A public viewing will be held on Friday, March 15, from 4 to 6 p.m. at Fisher Funeral Home. Graveside services will be conducted on Tuesday, March 19 at 1 p.m. at Waverly Cemetery. Online condolences for the family may be posted at www.fisherfuneralhome.com.